Turmeric is a pretty special spice. It has a lot of great health benefits. You may have already heard of turmeric lattes, or golden milk. There are plenty of reasons to incorporate turmeric into your daily routine, but for some of us, this can be tricky. Golden milk or teas made with turmeric have been consumed in Ayurveda. Science has since found many links between regular turmeric consumption and healthy results. The most active compound in turmeric is curcumin. It is good for digestion, good for skin and hair, boosts immunity, balances hormone levels and is anti-inflammatory, which means consuming turmeric can help reduce muscle pain, and reduce chronic disease due to chronic inflammation. In fact, the efficacy of turmeric as an anti-inflammatory has been matched to the efficacy of some anti-inflammatory drugs. Make sure to take turmeric along with black pepper, which will help your body to absorb the healing benefits of curcumin. 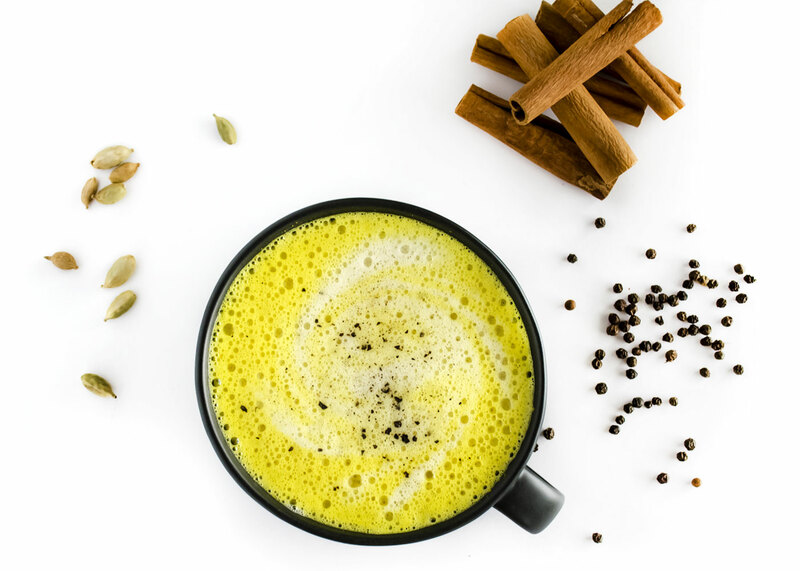 A warm turmeric latte is excellent any time of day, and a great choice if you are feeling under the weather. Especially if you have a sore throat (anti-inflammatory turmeric to the rescue). Here are a few of our favourite recipes, let us know your favourite. Steam milk and mix all ingredients together. Sweeten with honey or agave if desired. Tip - use raw honey to reap the health benefits of honey. Steam milk and mix all ingredients together. Add sweetener if desired.